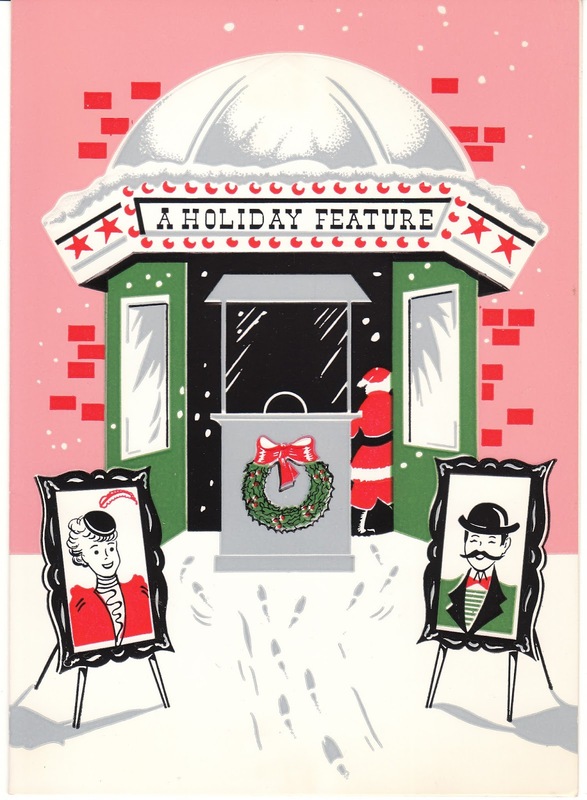 I added many vintage Christmas cards to my store this week. You will find them at Birdhouse Books. Just a few photos to give you a peek! This Mid-Century vintage Christmas card features a fabulous chandelier. 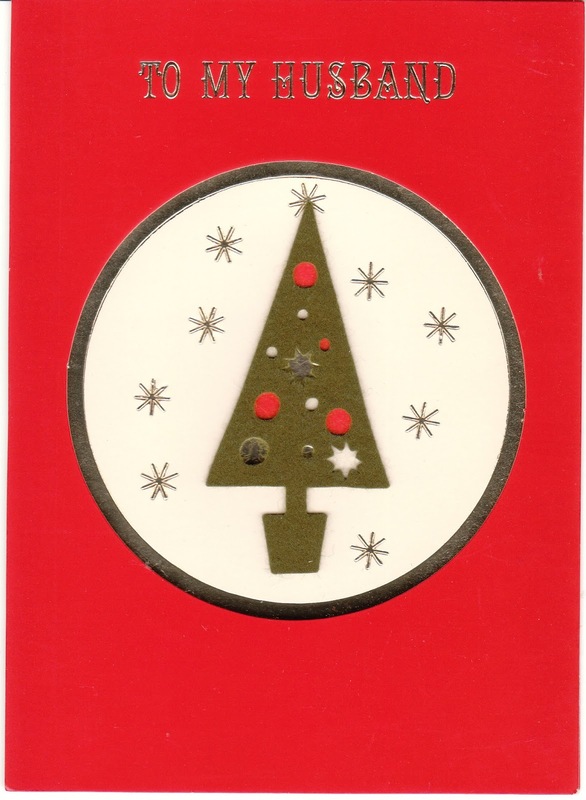 This Mid-Century vintage Christmas card features a gold embossed Christmas tree against a red background. 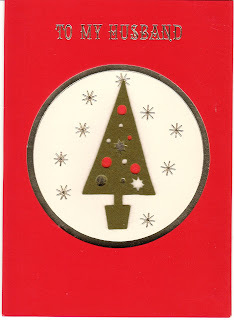 This 1960's vintage Christmas Card - "To My Husband" - has a felt tree with sequin trim. 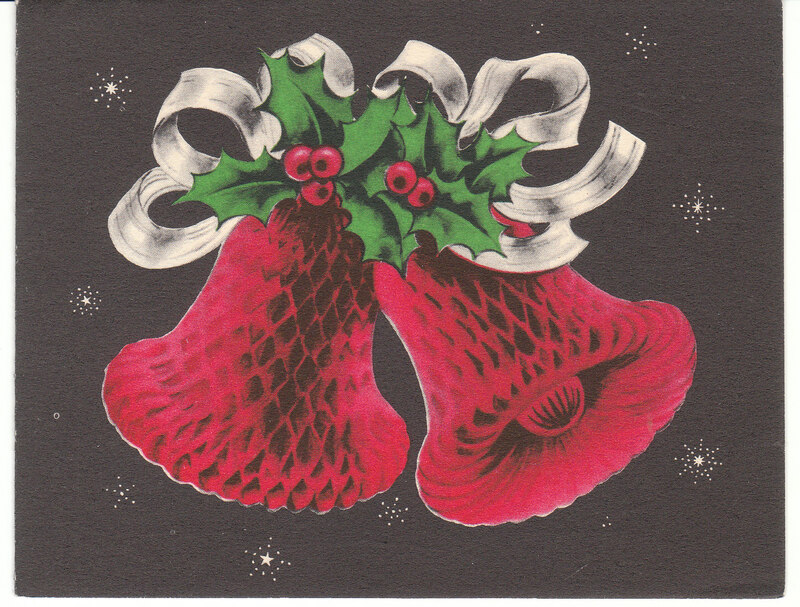 This cute 1950's vintage Christmas card features two honeycomb design red bells. 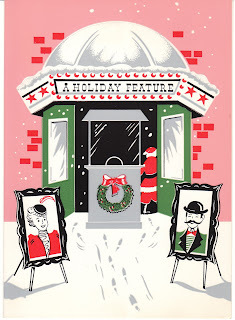 What a cute 1940's to 1950's vintage Christmas card! 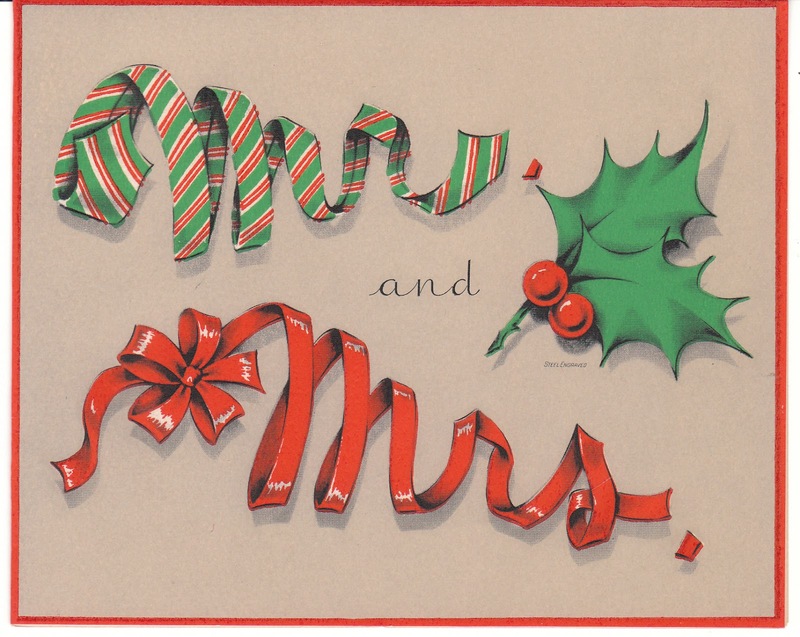 It says "Mr. and Mrs." in bright holiday designs. 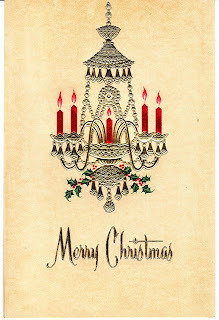 I love this vintage Christmas card! It has pictures of an old fashioned couple outside of a theater. Look who is going into the theater - it's Santa Claus! I hope you enjoyed seeing these fun vintage Christmas cards. Have a wonderful weekend! So many cute cards! :]! I love that last one! !